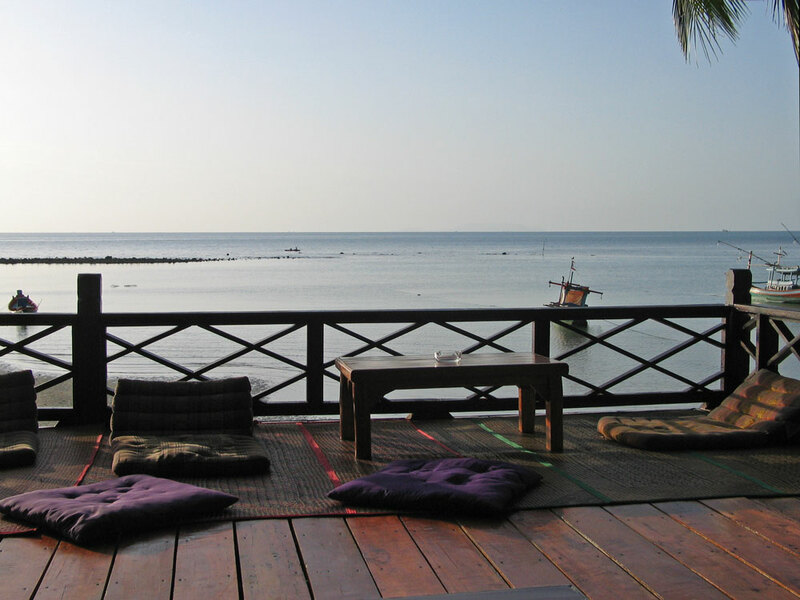 Salad Huts are located on the tranquil Northwest coast of Koh Phangan island on beautiful Haad Salat beach. 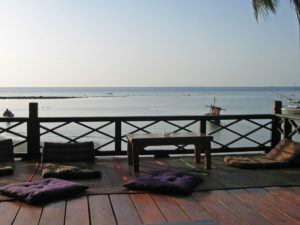 They offer you a chilled home away from home with Thai and Western home cooking, full bar with cocktails, pool table, massage and taxi service. Its rustic bungalows are set around a lush tropical garden and swimming pool, all with big verandas, king size bed, fridge and private bathroom (with solar power produced hot water). Deluxe Wooden Chalet with King Size Bed, Aircon or Fan, Fridge and Private WC with Hot Water. 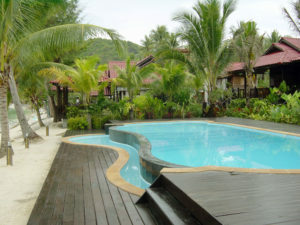 Deluxe Wooden Chalet with 2 Queen Size Beds, Aircon or Fan, Fridge and Private WC with Hot Water. Chaloklum Diving Ltd. Part. are providing a resort contact facility for their SCUBA diving customers and cannot be held responsible for the services provided by any of the resorts that they deal with.